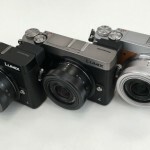 The Japanese Brand has taken advantage of its presence at Photokina 2014 to reveal the new Panasonic Lumix GM5, a compact with a Micro Four Thirds system and a spectacular retro design. The GM5 is aimed towards an exigent public that wants a small machine that is able to take high quality pictures, even when there is not enough light while at the same time offering all the advantages of manual control. The first thing that calls the attention of the new compact Panasonic is its design, very elegant and with magnesium alloy chassis. Details like the aluminum dials or the high quality plastics used on the handle position the new GM5 in the high-end category. The new Panasonic Lumix GM5 has a 16 megapixel sensor, a Venus Engine processor and a completely new focus system: aside from being quicker and more precise (AF tracking to shoot objects in motion at 4 fps), it is now capable of detecting and focusing with precision on the center of the eyes in order to obtain more expressive portraits, full of depth. The electronic shutter system allows it to reach speeds of up to 1/16000 of second. Of its datasheet it is worth mentioning the 3 inches touch screen, WiFi and NFC connectivity, electronic visor with 100% coverage and video mode AVCHD or MP4, with FullHD quality 1920×1080 60p/50p and Dolby Digital sound. 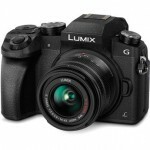 Panasonic has also presented two new objectives compatibles with its system; the new Lumix G VARIO 35-100mm/ F4.0-5.6 ASPH, thought to achieve the best blurs and portraits with personality and the Lumix G 14mm/F2.5 II ASPH, that has a wide vision angle and great field depth.